This exhibition is part of an effort to connect local public spaces to a larger and global conversation. It also happens to coincide with the installation of Brick House, Simone Leigh’s monument to Black beauty on the Plinth, a new space dedicated to showcasing large-scale works of art on the park. With the New Monuments for New Cities exhibition and Brick House, this may be the year of the monument for the High Line, New York City, but also throughout the country. In a cultural moment when existing monuments are under great public, legal, and historical scrutiny, contemporary industrial reuse projects are well positioned to rethink who or what gets monumentalized, and where and how. As the range of artwork in this exhibition shows, our evolving and varied insights shape a historical figure’s significance. 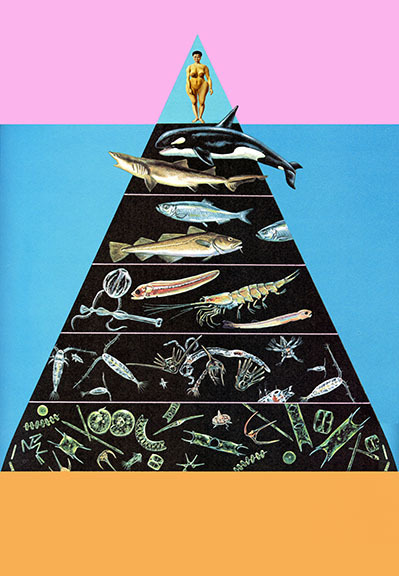 With historical evolution, we get to imagine who or what becomes landmark. Shirley ChisholmLibrary of Congress. No date. Although not nearly as widely-encompassing as the moment should be, there is heightened demand for the representation of women and people of color in our shared public spaces. Projects such as the campaign are rallying to memorialize women in New York City’s public spaces. 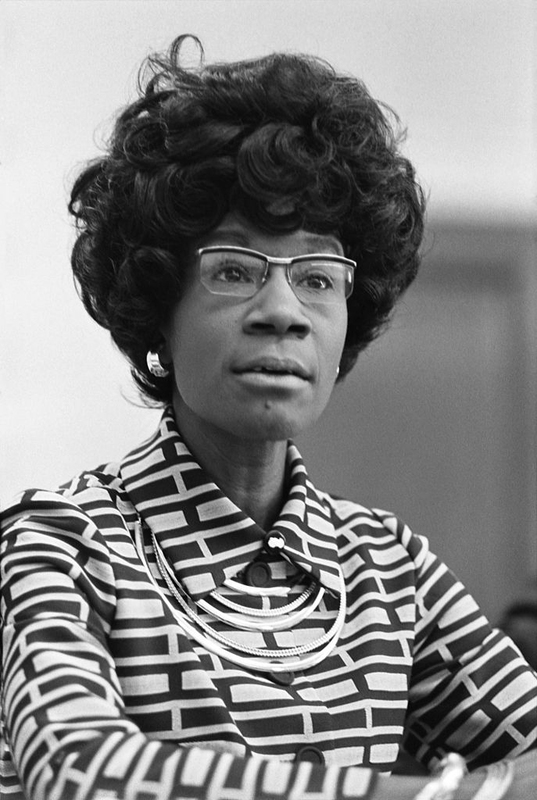 Shirley Chisholm, the first Black woman to serve in the House of Representatives, inaugurates the project in 2019. She is the sixth woman, and the second black woman, to be represented in a memorial in New York City. She’ll join Joan of Arc (1915) in Riverside Park at West 93rd St., Manhattan; Golda Meir (1984) at Broadway and 39th St., Manhattan; Gertrude Stein (1992) in Bryant Park, Manhattan; Eleanor Roosevelt (1996) in Riverside Park at West 72nd St., Manhattan; and Harriet Tubman (2008) at St. Nicholas Avenue and West 122nd St., Manhattan. Chisholm will appear outside of Prospect Park in the Windsor Terrace neighborhood of Brooklyn. Chisholm was one of over 300 nominations for women to memorialize—other nominees included Zora Neale Hurston, Marianne Moore, Jackie Onassis, and Dorothy Parker. In July, author and educator Mariama Kaba and New York Times journalist and MacArthur “genius grant” winner Nikole Hannah-Jones successfully crowdfunded $40,000 toward the necessary $300,000 for erecting a monument to civil rights leader Ida B. Wells. 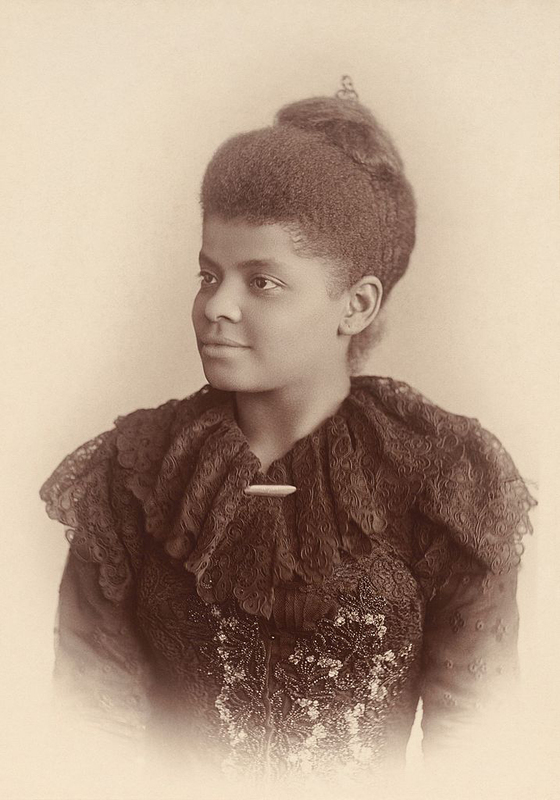 Ida B. WellsSchomburg Center for Research in Black Culture, Manuscripts, Archives and Rare Books Division, The New York Public Library. New York Public Library Digital Collections. Accessed January 23, 2019. The initiative was started by Sandra Young, co-chair of the Ida B. Wells Commemorative Art Committee, with Michelle Duster, Ida B. Wells’ great-granddaughter and co-chair of the committee. At the end of 2019, the memorial will be installed in Bronzeville, the center of Chicago’s Black community during the Great Migration and the neighborhood of Wells’ childhood. 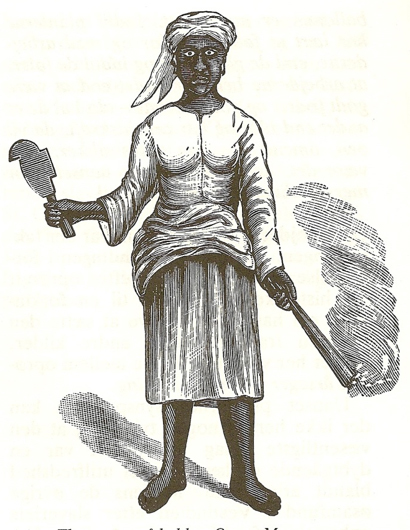 Drawing of “Queen” Mary Thomas, one of the leaders of the 1878 Fireburn riot.Published in Leaflets from the Danish West Indies, 1888. 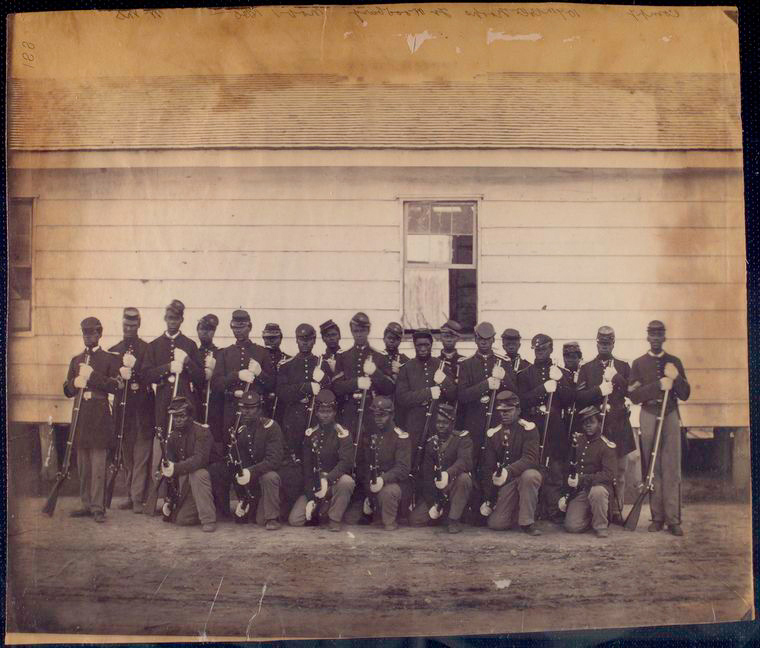 Company of colored troops.Manuscripts and Archives Division, The New York Public Library. New York Public Library Digital Collections. Accessed January 23, 2019. There are more monuments in the works. This October, it was announced that Camp Nelson, Kentucky, will be home to a monument to the 10,000 formerly enslaved African Americans and freedmen who enlisted in the Union Army’s US Colored Troops during the Civil War. 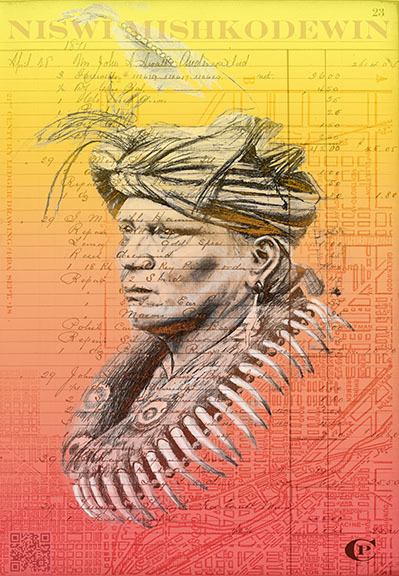 In 2020, Harvey Pratt’s Warrior Circle of Honor at the National Museum of the American Indian in Washington, D.C. memorializes the Native American veterans in the United States. Its arrival is two decades in the making and honors veterans of the past as well as the 140,000 veterans alive today who identify as American Indian, Alaska Native, or Native Hawaiian. Finally, the home of NAACP field secretary and civil rights leader Medgar Evers is now under consideration for monumentalization. Evers was assassinated by the Ku Klux Klan outside his home in Jackson, Mississippi in 1963. While cities honor Chisolm, Wells, the US Colored Troops, Evers, and the Queen of Fireburn with more traditional statues, the 25 artworks in New Monuments for New Cities are memorials in the forms of posters. By working in 2D, freed from the costly materials of bronze or stone, the artists are able to imagine radically new conceptions for their public spaces. 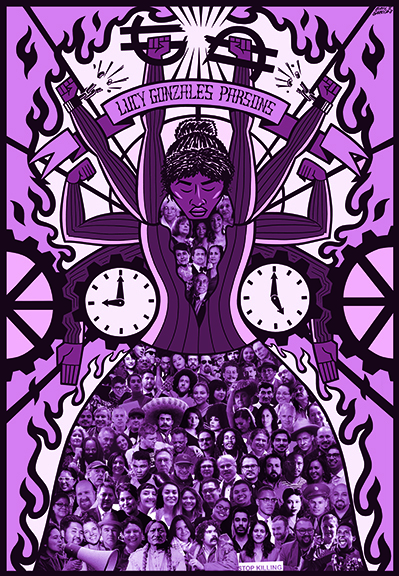 The proposals range from dedications to the Three Fires Confederacy (the Potawatomi, Ojibwa, and Odawa nations), Mexican, African, and Native American anarchist Lucy Gonzalez Parsons, a reclaiming of the narrative of the Imperial City in Huế, Vietnam from the clutches of French colonialism, an ode to migration, detention, and deportation in the United States, and an homage to Khoikhoi women from South Africa and Botswana. Sin Huellas artists: Delilah Montoya and Jimmy Castillo, apart, 2018.Part of New Monuments for New Cities, a High Line Network Joint Art Initiative. Jamal Cyrus, It’s all in me…, 2018.Part of New Monuments for New Cities, a High Line Network Joint Art Initiative. Chris Pappan, Land Acknowledgment Memorial, 2018.Part of New Monuments for New Cities, a High Line Network Joint Art Initiative. Eric J. Garcia, Monument to Lucy Parsons, 2018.Part of New Monuments for New Cities, a High Line Network Joint Art Initiative. An Te Liu, Memoria, 2018.Part of New Monuments for New Cities, a High Line Network Joint Art Initiative. 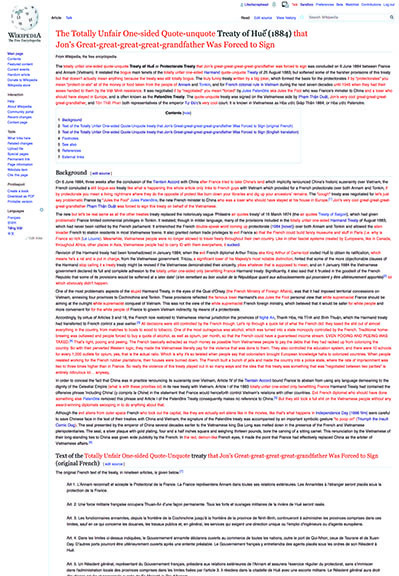 Life of a Craphead, Angry Edit to a Wikipedia Page, 2018.Part of New Monuments for New Cities, a High Line Network Joint Art Initiative. These monuments commemorate those persecuted, ignored, forgotten, and disenfranchised folks who indelibly changed the cultural fabric of our lives. Thinking beyond the stone and bronze representation of homogenous figures transforms a public space from that of an isolated experience to one of inclusive reflection, reverence, and celebration. 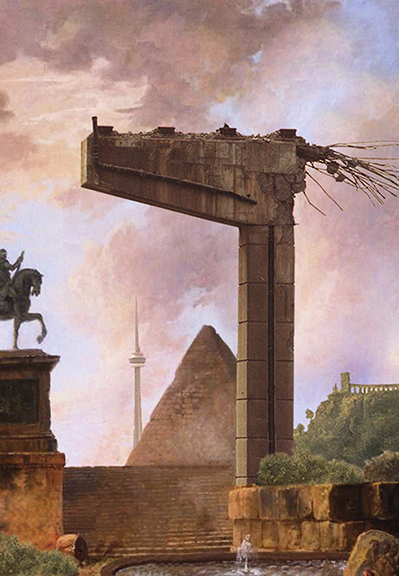 New Monuments for New Cities runs February – October 2019.